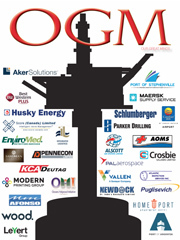 The OGM OTC Annual Bash attracts industry powerhouses and a plethora of business professionals. 150 people gathered after work at “Mo’s a Place for Steak” to tip cocktails on the deck. The eats were marvelous. We expect next year’s event may come close to outgrowing Mo’s, but we’ll still invite him to this do-not-miss network event.